Find the best in the West with these patterns from the STITCHES Show! Knitting can be a very relaxing hobby that you can enjoy by yourself. It's just as fun when you knit with friends. There is a large community of knitters out there that are just as passionate about the craft as you are; you just need to know where to find them. The STITCHES events are the perfect places to meet knitters and surround yourself with new friends and lots of yarn. It's the perfect atmosphere to mingle with new companies and designers. The Knitting Universe has been putting on four STITCHES events — East, West, Midwest, and South — annually for years. Plus, at every STITCHES event, there's a fashion show. 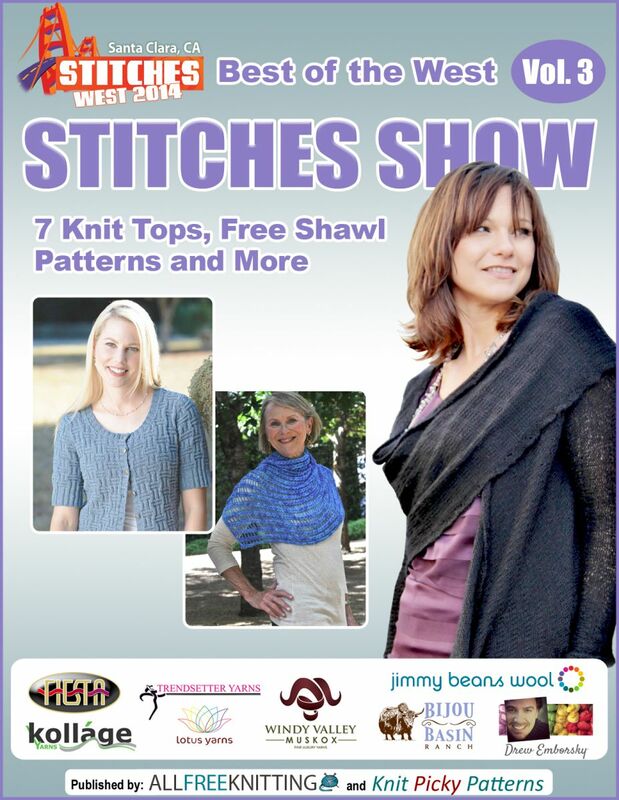 This new eBook, Best of the West STITCHES Show 7 Knit Tops, Free Shawl Patterns and More, Vol. 3, is filled with projects that come straight from the show. Add some new flare to your wardrobe with the amazing patterns in this lovely new collection. 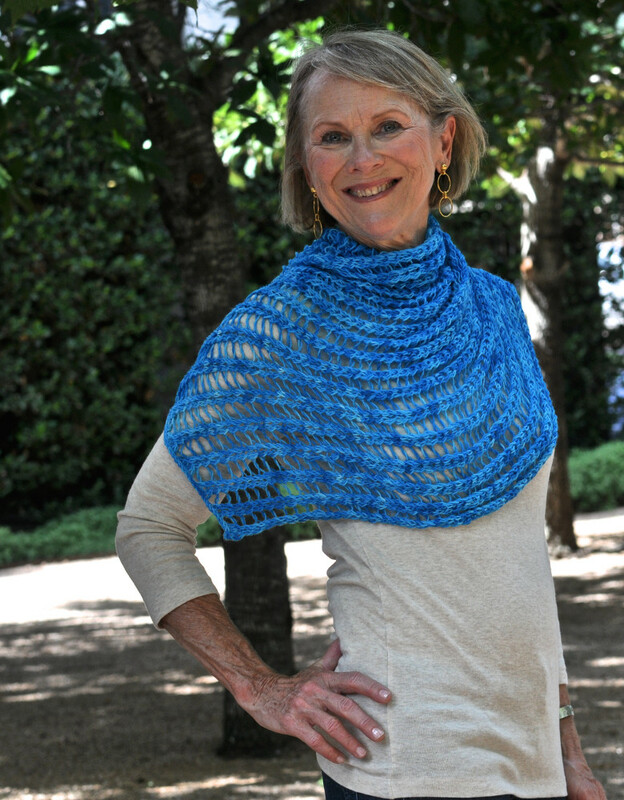 Download your free copy of Best of the West STITCHES Show: 7 Knit Tops, Free Shawl Patterns and More, Vol. 3 now! Inside this collection of inspirational patterns, you’ll find everything you need to make versatile knit pieces that will last throughout the seasons. Discover the best of the best patterns as you dive into the Best of the West STITCHES Show: 7 Knit Tops, Free Shawl Patterns and More, Vol. 3 eBook. We sincerely hope you enjoy each and every project in this book. Trust us; they’re all keepers! Snowmass Intarsia Tee (pg. 7) - This beautiful sweater is perfect for any time of year. The lightweight yarn and beautiful diamond pattern make this sweater one that you will fall in love with and never want to take off. Turquoise Shawlette (pg. 12) - Simple. Elegant. Gorgeous. This stunning shawl is a perfect statement piece for when you just want to add a pop of color to an otherwise lackluster outfit. Eyelet Cardigan (pg. 15) - Many different, complementing colors combine to create a beautiful sweater with this pattern. This sweater will go with nearly outfit you have. Be Mine Heart Garland (pg. 22) - Decorate your home with this fun and festive garland. This would be perfect decoration for Valentine's Day, an anniversary, or your loved one's birthday. Tessuto Cardigan (pg. 25) - This simple sweater is a sweet addition to any wardrobe. This understated knitted top is great for day-to-day wear. Since it's short-sleeved, it makes for a perfect spring sweater when the weather hasn't quite warmed up yet. Qiviut Shrug (pg. 31) - You'll love this unique cardigan. It top drapes casually, yet elegantly, over one shoulder. This will make a perfect piece when you need to add a layer to a dressier outfit. Phoenix Print Garter Strip One Piece Scarf (pg. 37) - Add a perfect splash of purple to your outfit with this delightful scarf. Lightweight and long, you'll be able to drape this over your neck in the spring, fall, and winter. It's a perfect year-round accessory. You can easily download and print out this eBook for on-hand reference while knitting. Free knitting eBooks are the ultimate resource for knitters. Each eBook includes a collection of free knitting pattern organized around a theme, such as holidays, winter wearables, comfy afghans and plenty more. Find a complete list of our published eBooks here! AllFreeKnitting presents wonderful patterns in this eBook, Best of the West STITCHES Show: 7 Knit Tops, Free Shawl Patterns and More, Vol. 3. Whether you want to make a gift for a loved one or knit a hat for yourself, one of the patterns in this collection will fit the bill. Plus, once you subscribe to receive our newsletter, Knit Picky Patterns, you'll become a part of our incredible knitting community and get amazing tutorials like the one in this eBook in your inbox every day. Check out this free eBook and the AllFreeKnitting.com site to find your next dream project. About a week ago there was a pattern for a gorgeous yellow lace scarf...when I attempted to get the pattern it brought me to a place that was in German...but no pattern...now I can't seem to even find a reference to the pattern...can you help? I have tried to get the Phoenix Print knitted garter scarf and I keep getting this very same page over and over asking me to do the same thing again. Please advise how I can obtain the pattern? Thanks so much for your help. I too cannot find where to enter the sweepstake for the Fiesta yarn. and it closes tonight. Another place? I am trying to enter to win the $128 in Fiesta yarn, but when I click on the link, it brings me to the free ebook! What gives?? Mary M.
Here is the URL for the entry page br br httpwww.allfreeknitting.comsweepsEyelet-Cardigan-Kit-Giveaway-STITCHES-West-eBook-Giveawaybr br Make sure you scroll to the bottom and fill out the entry form. The contest does not close until Midnight 4292014. 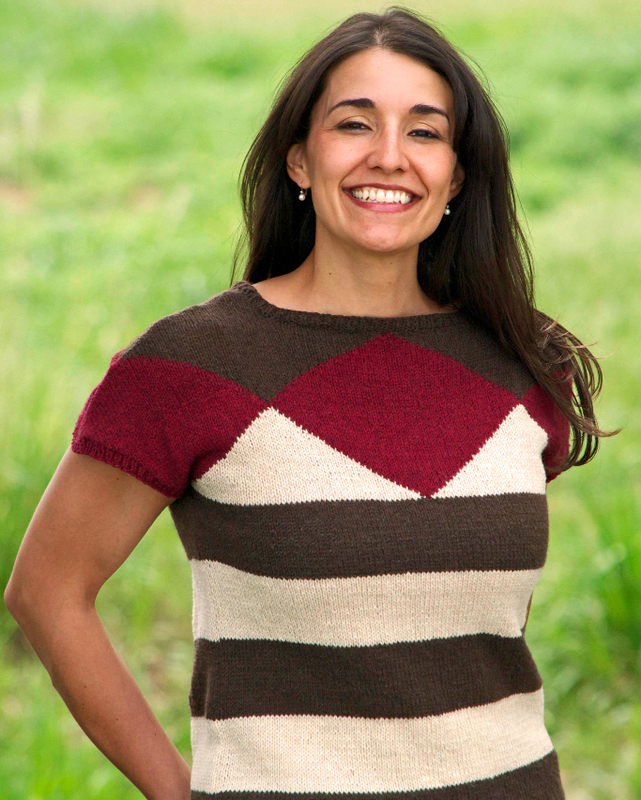 I really like the 'Spring Aire' top, but the instructions in the ebook (page 25) are for a sweater version of the Tessuto cardigan. (Also the link to this pattern on the Kollage website doesn't seem to work). Can anyone help me in finding this pattern?